Just in time for the extraterrestrial friendly Fourth of July weekend, Earth To Echo lands in a theater near you on July 2nd. If you've seen the trailer, then you've realized one of two things. The first is that this is definitely a kids flick for the current generation. The second is that it's a kids flick that also looks like it's going to borrow heavily from a certain kids flick from the 1980's. We won't spoil the surprise and tell you which film that is, especially because the trailer pretty much does the job it's supposed to do and telegraphs its influences in its sleeve. This got us to thinking: what do we really want Earth To Echo to borrow from our childhood memories, only to get polished up and re-offered to the children of today? Where are the bike chase moments, or those moments where we make contact with an alien civilization – only to find out they're total goofballs and put way too much stock in video games? In celebration of Echo's arrival on earth, we'd like to present a list of six films we hope Earth To Echo lovingly uses as influences towards its story and it's approach to film-making. In one case, we've even named a more recent film that feels like it belongs in the 80's, and still stands as a good example of a modern film acting as a proper mimicry of those classic films that held our gaze and our imagination captive way back when. We can't promise that Earth To Echo will follow our suggestions, or even follow them correctly. What we can promise is that at least one or two of these gems will strike a chord with you, and probably even make you look more forward to seeing the film. Plot: A Californian family is in for the adventure of a lifetime as an alien who was separated and left behind by his landing party decides to make contact. He's a stranger to our customs, he doesn't quite understand how beer and classic movies don't mix with telepathic powers, and he does this neat trick with dead houseplants and/or people! Yes, he's the lovable product placement pitchman Resse's Pieces was always looking for: E.T. : The Extra-Terrestrial. While E.T. doesn't quite have a handle on the social skills of the common earthling, he does have a bottomless sense of wonder and entertainment. He also has a heart as big and strong as any spacecraft that could get him home, and he'll need it if he ever thinks he'll get there. You know the music, you know the last scene, and if you're not tearing up when you hear the soundtrack's huge finale, you're obviously not paying enough attention. 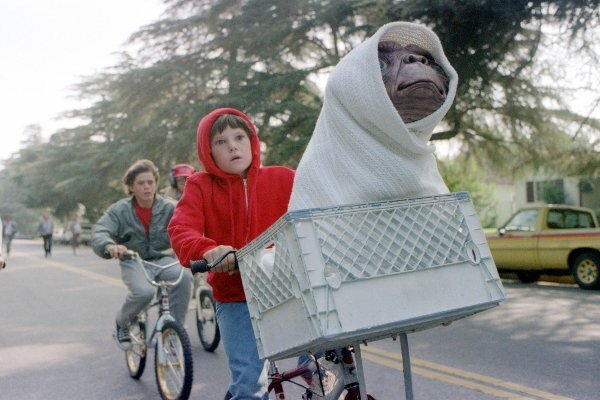 What We Hope Carries Over: E.T: The Extra-Terrestrial is the base code for this sub-genre of films, so there's a lot we could want to cross over from this film to Earth To Echo. Steven Spielberg and writer Melissa Matheson had such a finger on the pulse of the kids in that era that the product placement doesn't feel like pandering to the companies it benefits. Instead, it makes the film feel like it belongs to that era of film and product consumers, simply because it knows what they enjoy and knows what brands they identified with. In addition to the actual alien's messianic/lovable disposition, we're really hoping that Earth To Echo remembers that the film doesn't exist to sell products, it exists to sell children memories that will last into adulthood... that just happen to contain those specific products. After all, we don't remember Reese's Pieces being E.T. 's favorite snack because they were so inescapably pushed in the film, we remember them because E.T. really loved the damned things in the first place! Plot: Ben (Ethan Hawke) has a dream. A dream that he's flying over an electronic circuit that he doesn't know the purpose of. Wolfgang (River Phoenix) is a genius who understand just what that electronic circuit can do: it can send the two friends into space without having to worry about an oxygen supply! After picking the proper vehicle (a discarded Tilt-A-Whirl car), a new friend (Darren, played by Jason Presson), and a lot of 80s kid know-how, these three friends launch themselves out of atmosphere and into a whole new world of possibilities. Naturally, they come across an alien ship that seems rather ominous – only to find out that the aliens who populate the ship are not only extremely goofy, they're also hooked on Earth's popular culture. 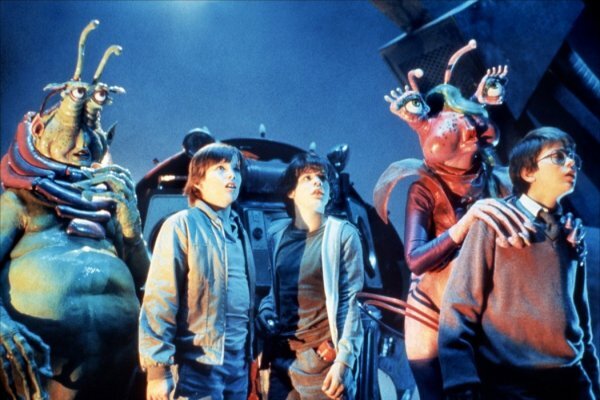 Explorers tells the story of three boys who start out getting into mischief, end up making an important scientific discovery, and ultimately find themselves hanging out with aliens that have memorized quite a bit of our re-runs. What We Hope Carries Over: The spirit of scientific curiosity and making new friends! Unlike other films of its ilk where kids either stumble upon the technology or aliens present in Explorers, they go out in search of such things. Ben dreams up the technology, Wolfgang builds the circuit that makes oxygenated space travel possible, and Darren becomes the third amigo they never knew they needed. Also, as an added bonus, the aliens of Explorers aren't too serious and nor are they looking to eat, conquer, or destroy our species. Instead, they're just looking to show off that they're fans of the same stuff we are – or at least, we were when they were first aired. Earth To Echo looks like it's got a nice head start on these aspects already, as the children in the trailer are very media savvy, as well as tech savvy. Also, who better than a group of plucky, curious kids to go and track a random signal out in the desert? This is the stuff imaginations thrive on when kids are out playing, and it's something that everyone can agree children need more of these days. Plot: Frank and Faye Riley (Hume Cronin and Jessica Tandy) are visited by a race of alien robots dubbed "The Fix-Its", just as the building they live and operate their cafe in is about to be demolished. With the help of this alien race, their lives and the lives of those who they call friends are made much brighter. *batteries not included focuses solely on adult characters, with the only child to be spoken for residing in Elizabeth Pena's stomach for the film's duration. That doesn't stop the whimsy though as the Rileys and their friends fight to save their home, and their new found intergalactic friends. What We Hope Carries Over: The Fix-Its are the closest predecessor to Earth To Echo's protagonist that can be thought of. Or at the very least, they're the perfect crossroads between the alien protagonists and robot protagonists that 80's science fiction loved to use in abundance. 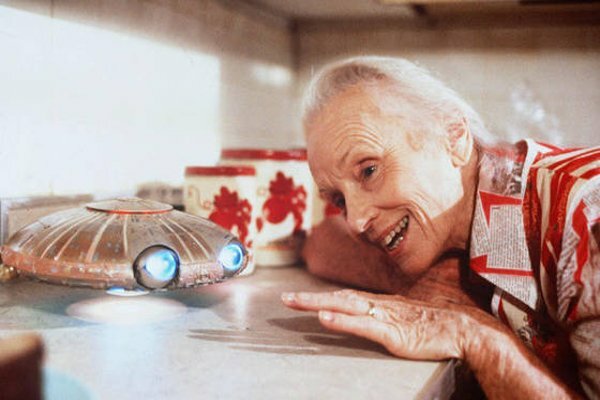 More importantly, the Fix-Its not only help the humans in *batteries not included keep their home, they also help them develop as people. Whether it's helping Jessica Tandy get over the loss of her son or slowly driving the villains mad with their secrecy, the Fix-Its are as proficient in fixing devices as they are people. Earth To Echo could stand to take a lesson from *batteries not included's story (which was co-written by Brad Bird, a guy who knows a thing or two about friendly robots) and show Echo helping the kids become better people throughout their trial by adventure. Here's hoping the adults learn as much as the kids do during the film's proceedings. Plot: Alex Rogan (Lance Guest) lives in a dead end desert trailer park, with no real distraction from his mundane life. Well, no distraction except for a random arcade cabinet containing a game entitled Starfighter. When he's not busy spending time with his family or his girlfriend (Catherine Mary Stewart), he's plugging quarters into the machine and blasting away the enemies of the mythical Frontier. At least, it was mythical before Centauri (Robert Preston) – the programmer who created Starfighter drops into Alex's life to recruit him to a war that's much more real, and a whole lot more intergalactic than he ever imagined. With a stiff robot clone of himself in his stead back home, Alex travels with Centauri to join the Rylan Star League in their war against the Ko-Dan Empire. Ever the reluctant hero, Alex takes his place in the fleet and proves to be The Last Starfighter that the Rylans will ever need to recruit. 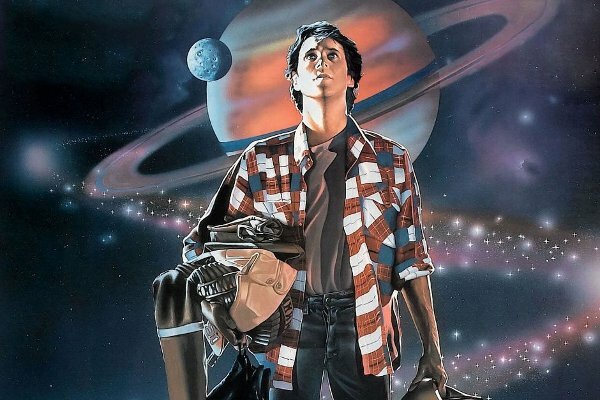 What We Hope Carries Over: While The Last Starfighter doesn't really have a prominent robotics angle (despite the comedic relief the android, Beta, proves when he's replacing Alex back home), it does have the classic hero's journey story in play. "Ordinary" Alex turns out to have a special gift and is recruited to come up with Centauri to fight in a great war of epic importance. While we don't really know why or how Echo winds up on Earth in Earth To Echo, it is hinted that in their efforts to bring Echo back to his home, the character known as Munch (the ringleader of the trailer's bicycle helmet gag) will be accompanying him. To what end, or to whatever extent Munch is taken from Earth, it'll be a welcome sight to see a character of reluctant heroism being picked out for their knowledge, instead of just lucking into a massive discovery that lands Megan Fox in their lap. 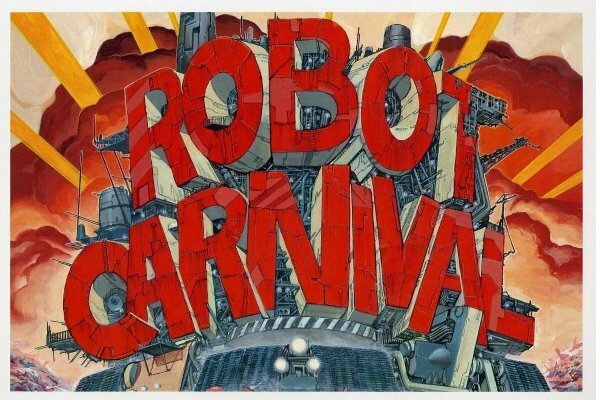 Plot: A rarity among the 1980's anime scene, Robot Carnival is a film that isn't as readily known by most cinephiles. The ones that do remember Robot Carnival will tell you that it's a film worth remembering, as it was the Fantasia of Anime. Through an anthology of stories, Robot Carnival shows how robots and humanity can get along, fall in love (in the case of the short Star Light Angel), or just plain have fun in the case of the Disney inspired short, Nightmare. Most notably, at least in Earth To Echo's case, the short Franken's Gears has a message/plotline that could effectively resonate with the film's main message. Franken's Gears is the story of a scientist attempting to create robotic life in his lab. While he succeeds, he only seals his own doom with the machine's ironic ability to mimic whatever it creator does. Upon total accident, the creator is killed by the creation, thus making this the darkest entry on the list. What We Hope Carries Over: While we obviously don't want to see any sort of character death in Earth To Echo, the lesson of personal responsibility is one that will hopefully be on display in the film's story. After all, if you were a kid in possession of a really powerful robot, you'd obviously be tempted to misuse it in all sorts of exciting ways. Of course, after the inevitable misuse of said technology, there's almost always an event that cuts so close to the edge of inappropriate. Those who are smart and wield that power learn from such an event, and even if Earth From Echo doesn't hew as close to that formula as other entries in the genre have, at the very least it can show characters who understand the power they have in their hands and attempt to use it for the best intentions possible. After all, this is a children's movie. Plot: Jack (Kyle Chandler) and Joe Lamb (Joel Courtney) have had it rough since the passing of Elizabeth, the wife/mother to our main pair. The two are estranged as they throw themselves into their job and their hobby respectively, in hopes that their work will distract them from this painful loss. While Joe (the son) is out one night making a movie with his friends, they are witness to a huge train derailment that unleashes something unknown upon their small Ohio town. Father and son will come together to solve a huge mystery involving extraterrestrials, military cover ups, and – of course - "production value!" Throw in a childhood crush with the role fulfilled by Ellie Fanning, and a Michael Giacchino score that mimics John Williams' masterworks of the 1980's era, and you have the most Spielbergian film that the man with the beard himself never made. What We Hope Carries Over: Admittedly, this entry is a bit of a cheat as it wasn't made in the 1980's. However, if you were to show a crystal clear print of E.T. : The Extraterrestrial and Super 8 as a double feature to the target audience for Earth To Echo, they'd probably be hard pressed to identify which film is the older of the pair. This goes to show just how good of an homage the J.J. Abrams directed film is to those of the Spielbergian family pictures of the 1980's. What hopefully crosses over from Super 8 to Earth To Echo is not only the love of filmmaking from the kids of the former film, but also the personalities and performances of said film's child cast. While it didn't completely capture the Spielberg magic, Super 8 was still a pretty fun movie with engaging child characters: something Earth To Echo will live or die by, just as any other film of the genre would. Earth To Echo has a lot of work ahead of it in order to measure up to this list of films, but we'll see if it makes the cut on July 2nd.